It kinda all started because of this picture. Julie posted it, along with the caption: Best Chicken Ever. Apparently Herbies in Cache Creek is good for it's chicken. Her facebook friends seemed to agree. Google estimated it'd take over 4 hours to get there. And then 4 hours to get back. I decided I wasn't ready to invest 8 hours and $50 in gas to get a chicken dinner. But fried chicken was now on my brain. A couple months ago, coincidentally on the day that my dad died, I'd been to my doctor for my annual physical. All The Usual Stuff was dealt with, and then, because I was seeing his female associate for the first time, she and I talked about a few other things. Like moles and veins. And weight. I decided it was time to move forward and get a few things taken care of. So I made future appointments to get some moles removed, and my one varicose vein obliterated. I determined that I would seek alternative options to get my foot de-hurted. And I'd get all those blood tests (50 million of them) done. My dad died that night and my crusade to take care of myself took a backseat to more pressing matters. By May, I got back up on that horse and started to ride it. First up was the reflexologist/sadist who did deep tissue massages designed to make you writhe in pain for an hour so that any subsequent discomfort, if, say, you stepped on a spike, would pale in comparison. She put 'pain' in perspective. "Does this hurt? On a scale of 1 to ..."
"TEN. This hurts like a TEN." Next, in early June, I finally had my appointment about getting some moles removed from my back because I was getting into a bathing suit in mid-June (and in consideration for Sandra who might put some sunscreen on my back), I thought I'd remove anything offensive. I wanted to have a whole whack of them removed from my side and underboob region but he looked at me and said, "really?" His 'really' meant, "You know, and I know, that we are the only two people on this planet who will ever see these small moles. And I'm OK with them babe. Don't go doing this for me..."
Or maybe it just meant, "Really? Now you're being silly. They are No Big Deal. Why don't you try doing some sit ups though, because your stomach? Is quite a thing to behold." Men. You never know what they're thinking. To be followed almost immediately with the bowel infection and recovery period which was another week off work. And it was a game changer in that now? I WANTED people to look and think of my face when they were talking to me, NOT what my bowels were doing/not doing. I had a doctor appointment today. Made months ago. About getting the vein dealt with. And after everything I'd been through in the past few months, I felt silly about following through with this appointment. But I wanted to talk to him about a few things, so I left work an hour early and sat in his waiting room for 90 minutes reading Scary Close by Donald Miller because maybe I have intimacy issues and why not tackle those while my body is getting poked, prodded, sliced and diced? My doctor has a UBC student shadowing him all day, and I am their final patient. They both come in, wondering what delightful ailments they get to sort out for me. "So? How can we help you today?" I'm on the table, wearing capri's, holding my highlighter and book on intimacy and point to my inner calf. "Wondering if you can get rid of this for me?" I ask, quite embarrassed. There are people with real diseases, and horrible diagnosis's, and I'm pretty sure I am exactly what is wrong with our first-world expectations for health care and beauty. And then, in an effort to seem less vain, I pulled out my organ report card (CT Scan results)and requisition form for upcoming related procedure and asked him to explain them to me. Intimacy issues or not, I coulda just kissed him. More than anything I just want to be normal. I do not want anything that makes me stand out. I am not an attention seeking missile. We all have diverticuli. I told him that I had never gotten around to getting all that blood work done, and he looked at the forms the hospital had sent over and commented, 'Well. They certainly took a lot out of you that night in emerg." The kid in the room looked alarmed. "They checked you over thoroughly. And then he reads off all the organs that were scanned and all the things they tested my blood for and smiled. "You are unremarkable. Everything is as it should be." So, with that out of the way, they came closer to my legs. And he picked it up. "This?" He pressed his finger into the offensive blue, slightly raised vein. He explained to Doogie Howser that it was a perforated deep something something. And then he explained to me how I got it. And then he pressed it again. "Does this hurt?" "Not unless someone presses their finger into it at exactly that spot." "Is this your only one?" He picks up one tanned leg and gives it a good feel. Then he picks up the other one and checks it over carefully as well. It was at this point that I remembered I don't do needles. I've got one and a half men feeling my legs and I'm giving myself a pep talk about getting a needle and remembering to breathe. "And this vein? Is hardly noticeable." "I know. And it only sees the light of day for a few weeks a year,,,"
"It's a complicated one to repair, and I wouldn't be able to do it here. I'd have to send you to a vascular surgeon." "Ok. Let's not bother then." "And besides? I think it's a good idea to hang onto all your veins. They come in handy if you need to grab one in the future, say, for heart issues or something." So it was decided that I will keep my one lumpy vein in case I need bypass surgery someday in the next 30 years. This is me. Taking care of my future self. I left his office feeling better about things than I had in weeks. And I was hungry. For chicken. Fried chicken. 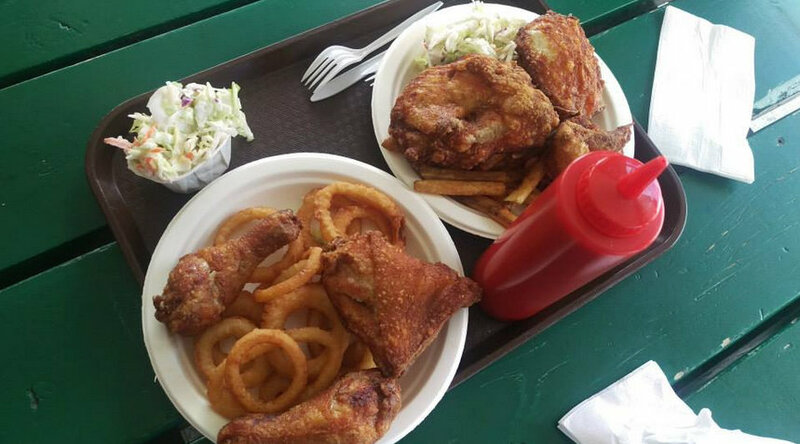 Fried chicken that is only available in a hick town 4 hours up the canyon highway away. Plus the team had an activity planned for us. You really wish you worked with me. I was on my way to my mom's house, on the bypass in Langley, when Michael's called to me. I had a Chapter's gift card from Jenn from my birthday. It needed to be used. I can hardly wait til the weekend. Hanging out with that baby-faced doctor probably impacted me as well. So I partially blame/thank him too for my juvenile purchase. I left the bypass, turned right onto 200th, and what should be there? Right before me? And I didn't even care that it's not The Best Chicken In The World. It was exactly what I wanted for supper. Did you know that Tuesdays are big deal at KFC? All of Langley shows up. The drive through was a million cars long, so I parked and went inside. I had a book to read and no other pressing appointments, so I was just going to make myself at home. I was about tenth in line, with a couple men behind me. I turned slightly to see what was going on. One one who initiated the conversation looks to be in his mid-30's. He's dark-haired, has grey eyes and olive skinned. Well-groomed and dressed nicely. The guy he's chatting up seems to be the same age, and could be African with some white in there. He too looks like a professional. The first guy continues, "I was born in the middle east, but came to North America during high school. I am an engineer and live at 198th and 64th... We just moved here. It's hard to meet people. What do you do? 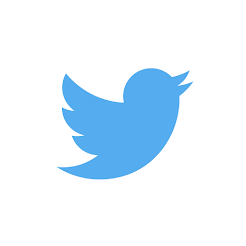 Where do you live?" The second fella is a little more cautious about giving out personal information, but he is friendly. Everyone in front of me is ordering buckets of chicken. My organs are unremarkable. I have a coloring book. Am I not married because I have intimacy issues? "Yes? How can I help you?" "I'd like a small fries, a water, and one piece of chicken. Original recipe. Breast." "They're pretty small, and I can make a combo for you if you want a second one.."
Just then the women who is managing chicken parts yells out to her staff on the front line, "NO WHITE MEAT LEFT!" Breasts are white meat and this is exactly what I was worried about. Meanwhile behind me the two guys are sharing job details with each other, "I design the systems that make the blah blah move ... etc." "Do you mind waiting two minutes? We have more chicken coming right up." I nodded, he handed me my receipt and said he'd call me when it was ready. So I found a lovely window seat with a stunning view of the parking lot and settled into my molded plastic chair and pulled out my book. Nothing beats a summer evening in an orange and yellow environment surrounded by the scent of grease. 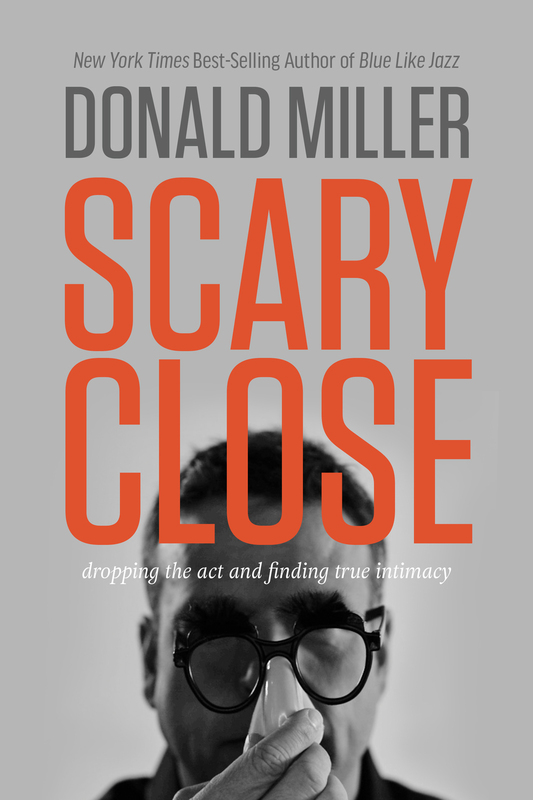 In the back of my mind I was keeping an ear open to hearing my number being called while I got lost in Donald Miller's tale of achieving intimacy and his journey as a writer. I could hear those two men getting to know each other, and I hoped they would keep in touch. People need connections. Friends. It's hard sometimes to reach out. I was proud of the first guy taking a risk. "Your order is ready. Two breasts." "Hello? Two breasts and fries. Order is ready." "Two breasts... fries. Water ..."
All of a sudden all talk in the restaurant stops. "WOULD THE LADY WITH TWO BREASTS COME TO THE COUNTER? YOUR ORDER IS READY!" That was me. The lady with two breasts. There really is no end to the number of ways a person who doesn't want attention can get attention. 1. My doctor. And smart people who study things for a long time in order to make the world a better place. 2. People who take a chance. Write/Talk/Share/Sing/Speak up. Because your voice matters. God message of hope? Will be delivered to the world, partly through you. The real you. The authentic, transparent, totally honest you. I bought a colouring book yesterday as well and thought of you and doodle art evenings. I miss you.